The UK’s multi-let industrial (“MLI”) sector is expected to provide a safe haven for investors relative to other parts of the commercial real estate sector. Despite the short-term uncertainty caused by the EU Referendum the MLI sector is expected to remain resilient. As an asset class MLI tends to produce consistent income yields in comparison to other property sectors. The income is typically highly diversified as a result of multiple units and a granular occupier base. These characteristics are maintained and enhanced further through proactive asset management. This income diversity has also increased as a result of the continued broadening of the occupier base over the past decade. The long-term stable characteristics of MLI would be expected to form an important part of an institution’s asset and liability management strategy, providing comparatively strong income levels which would be expected to be relatively immune from short-term volatility in the general UK economy. “The occupational side continues to have a very favourable long-term supply/demand imbalance and is the lowest cost space in the commercial real estate market. 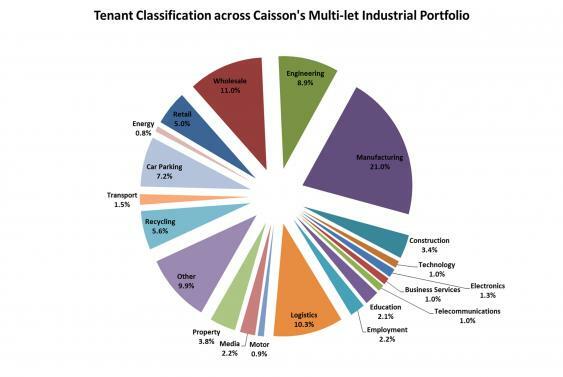 With little traditional low value manufacturing remaining within MLI, the sector benefits from a very wide tenant mix of modern industrial users ranging from online retailing, urban logistics, and high value design and specialist manufacturing/engineering,” said Mark Bowden, Property Partner at Caisson. “Caisson expect a period of yield softening as some institutions delay investments while they wait for the dust to settle. Investment volume is likely to normalise as it becomes clear the occupational market has remained resilient. We see this current period as a potential opportunity to acquire estates at more attractive pricing before the market reverts to the norm,” observed David Carter, Managing Partner at Caisson. The sector has shown long-term resilience through turbulent times due to its income and occupier diversification. Take-up levels appear to be remaining high to date as a result of the broadened occupier base and with low levels of replacement stock. This supply shortage is increased by available potential land often being zoned for housing or other higher value non industrial uses. We therefore expect the sector to maintain a supply / demand imbalance for the foreseeable future. 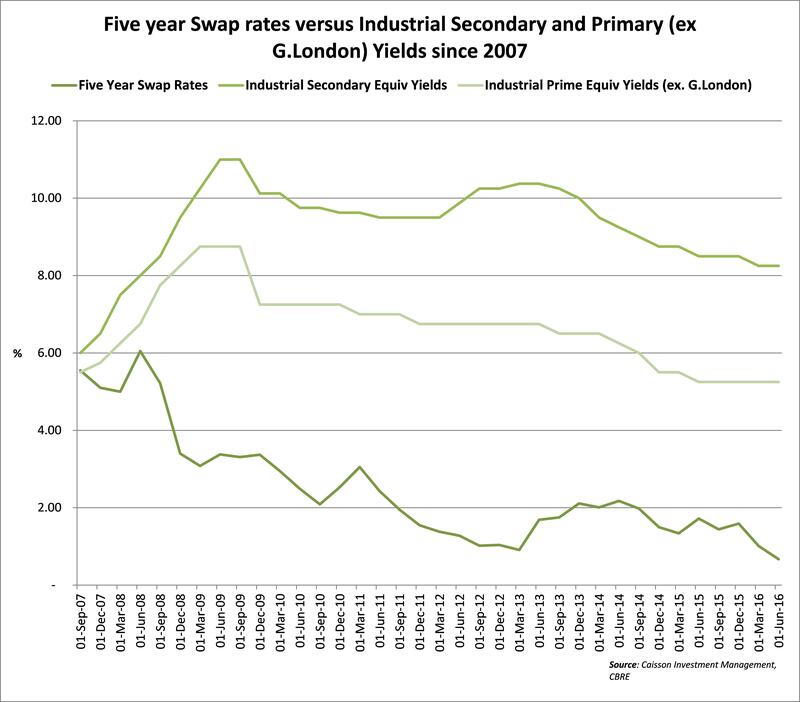 Five year swaps have fallen to c.60 bps meaning the potential cash-on-cash yield for geared investors has become very attractive, which is likely to help underpin the MLI market. In conclusion, whilst there may be a short-term fall in capital values; the underlying occupational market is likely to remain healthy with no material increase in available supply. This inherent strength of the lettings market should provide a fundamental level of support to capital values.